Dare to mingle in the affairs of gods and mortals in this epic story. 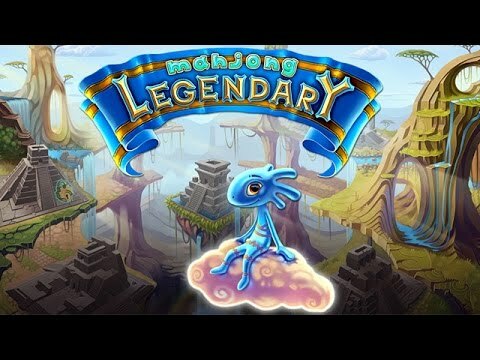 Legendary Mahjong tells the epic story of a people that neglected their gods. Soon their temples fell into decay, the gods grew angry, and harsh punishments followed. Just Kokopelli, God of Unbridled Happiness, avoids this penance. However he is not allowed to interfere with the mortals, so there is a chance for you to become immortal. Dare to mingle in the affairs of gods and mortals as you become the hero the people have been seeking. Match titles strategically and earn prestigious trophies on the world stage. Rebuild eerie castles with the treasures from cobwebby solitaire levels. Embark on a mysterious journey to reunite the royal family. Travel around mysterious Asia with Mahjong puzzles to suit any taste. Dive into the magic of the East with Mahjong levels to suit any taste.